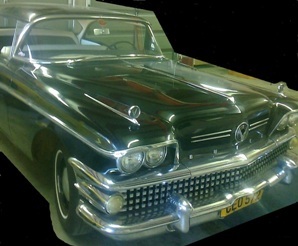 Buick 1958 sedanClassic Limousine Hire, Cape Town. AAAX GETS YOU TO THE ACTION FAST! AND WE WILL EQUAL ANY RATE! 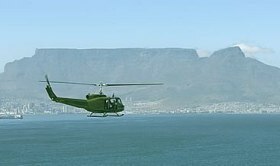 R2690 for minimum of 2 hours. R 690 per additional hour. Keywords: Classic Cadillac deville Limousine, Cadillac Limo, Limousine Car Hire Rental, Limo Classics, Chauffeur driven Classic Limo. The Buick Limited series was revived in 1958 as the ultimate Buick for the model year. In a model year where General Motors's answer to Chrysler's "Forward Look" was to update its 1957 Buicks and Oldsmobiles by slathering them in excessive amounts of chrome, the 1958 Buicks received the ultimate treatment. Each Buick Special, Century and Roadmaster received a Fashion-Aire Dynastar grille, cast of 160 chrome squares, each, according to Buick PR pieces, "shaped in a design to maximize the amount of reflective light". Buick also added quad headlights and three emblems bearing a stylized "V", one a medallion on the hood and the other two as gun-sight fender-toppers. The Buick 'Sweepspear' side trim, a styling hallmark since 1949, was joined by broad chrome panels attached to the rear quarter panels. Tail lights were housed in massive chrome housings.